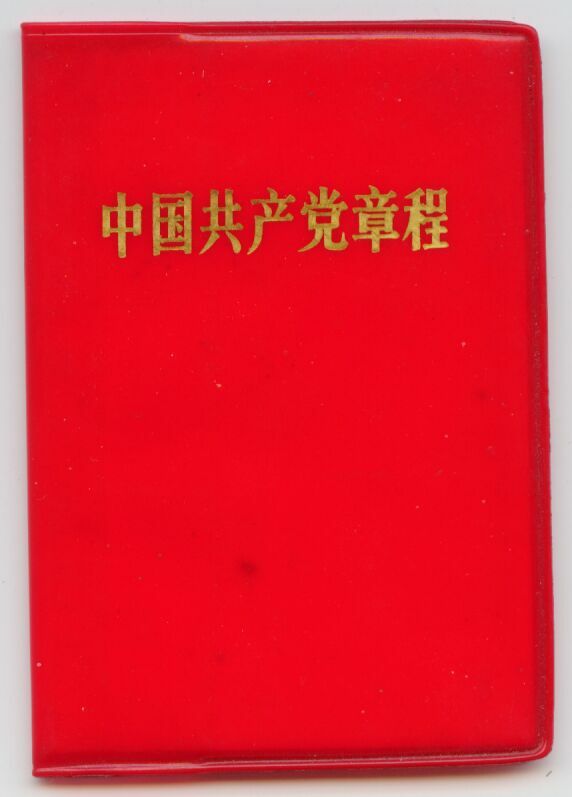 Every member of the Chinese Communist Party was required to abide by their Constitution, conveniently provided in a red vinyl covered book. 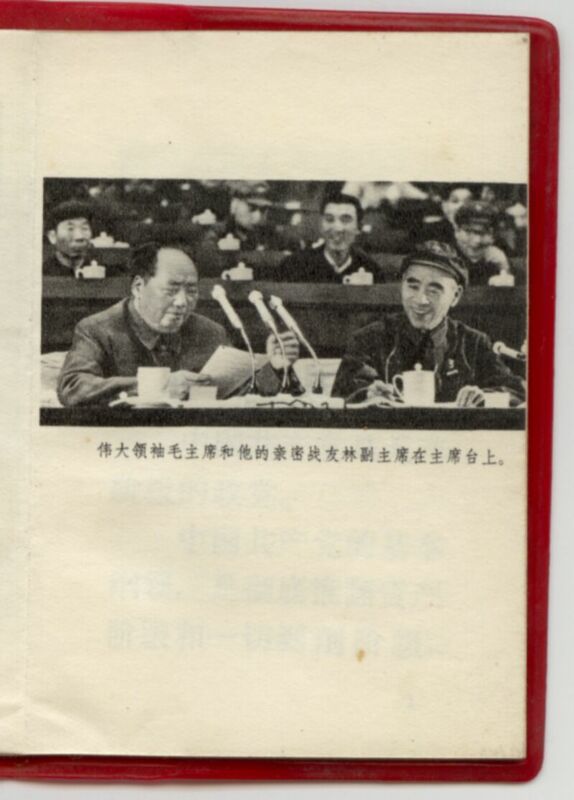 The first two pages are pictures of Chairman Mao and Chairman Mao with Lin Biao respectively. 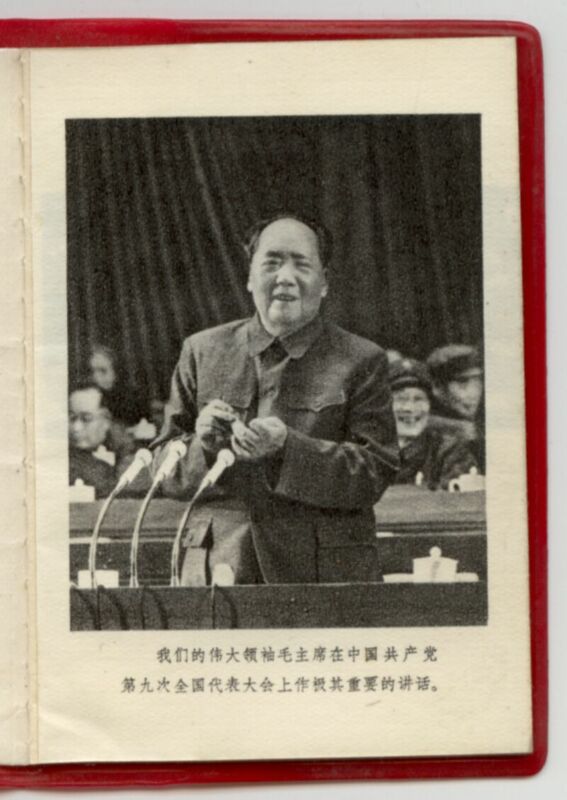 This book is 9.5 cm x 6.5 cm and was printed in Tianjin in 1970.